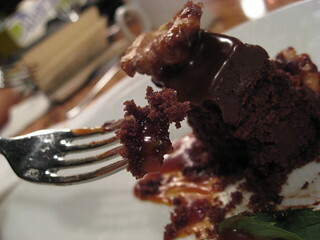 JC offers a morsel of chocolate cake and caramel for the camera. Notice it's only a small bite. She pretty much consumed the rest.